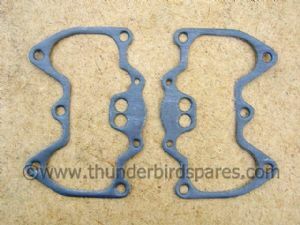 This is a pair of superior wire-reinforced rocker box gaskets to fit the all the oil in frame Triumph 650 & 750 twins from 1971-1983 (not the TSS 8-valvers ). Handy if you've re-torqued the head and the old ones have spread (it happens! ).